Beach Club Border Duvet CoverBeach Club Border Duvet Cover, Fog alt="Beach Club Border Duvet Cover, Fog"
Print We love the classic look of framed bedding – it gives your bed a tailored finish and adds a dose of color along the way. We kept our palette neutral to let you layer without a lot of fuss, and chose a lightweight percale to keep things crisp. Made in Portugal of eco-friendly cotton that’s breathable and cool to the touch. 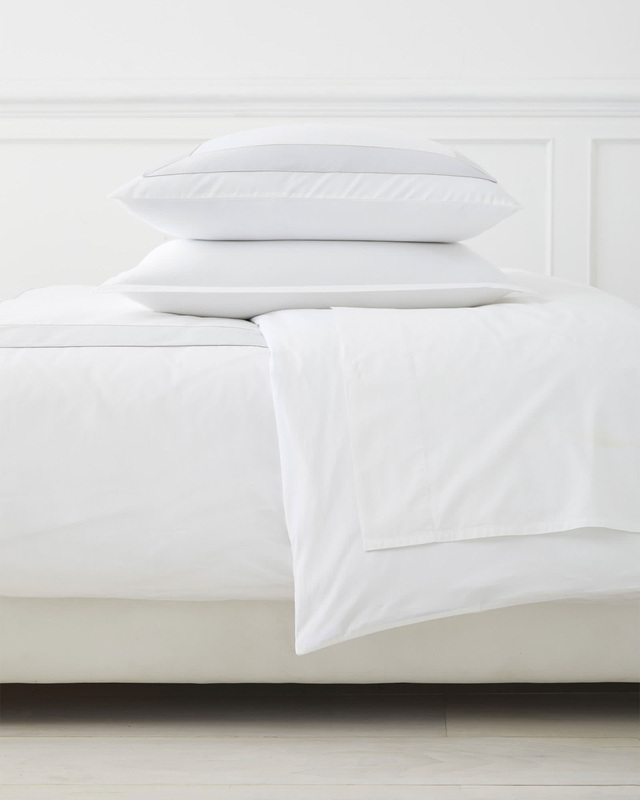 100% cotton percale with cotton sateen border. Available in our exclusive palette. Knife edge with fabric-covered button closure.